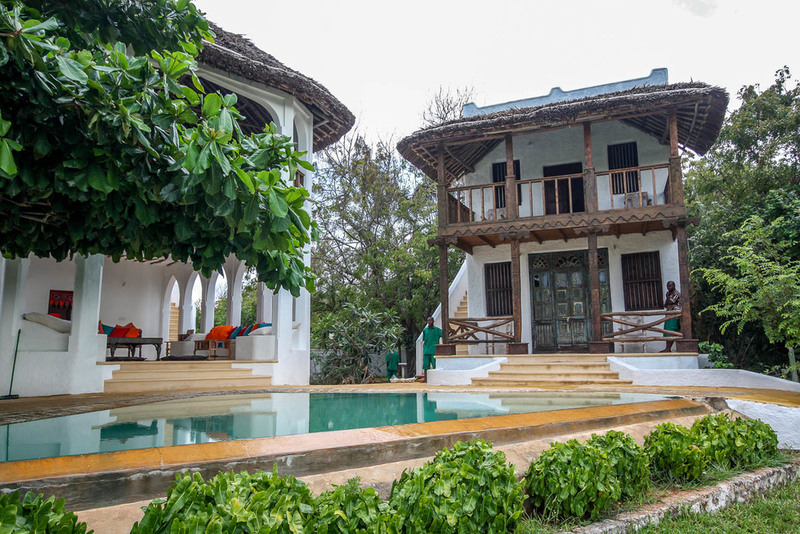 Newly built in an authentic Lamu style, using genuine old doors and windows recovered from demolitions along the coast, the house looks east to seaward over Takaungu Creek from the north side cliffs. 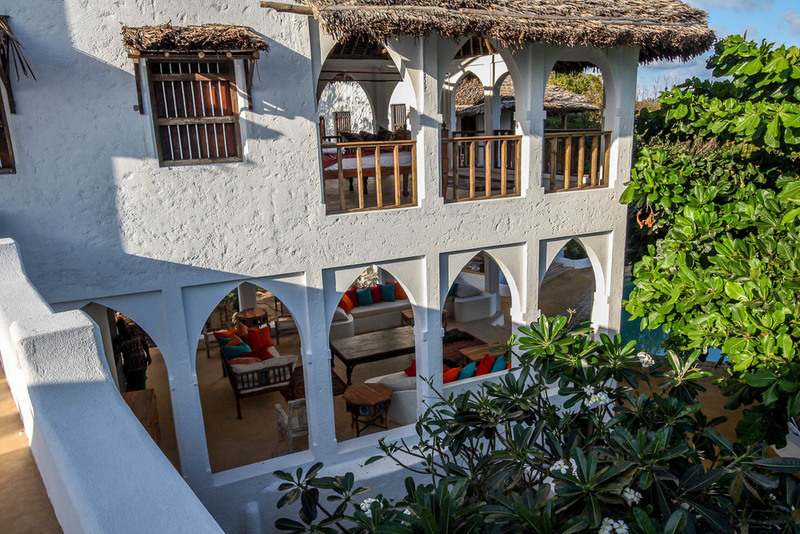 The house is built in three two storey units around a swimming pool, with two double rooms in each of the north and south wings and a double master bedroom over the kitchen and main verandah in the centre. 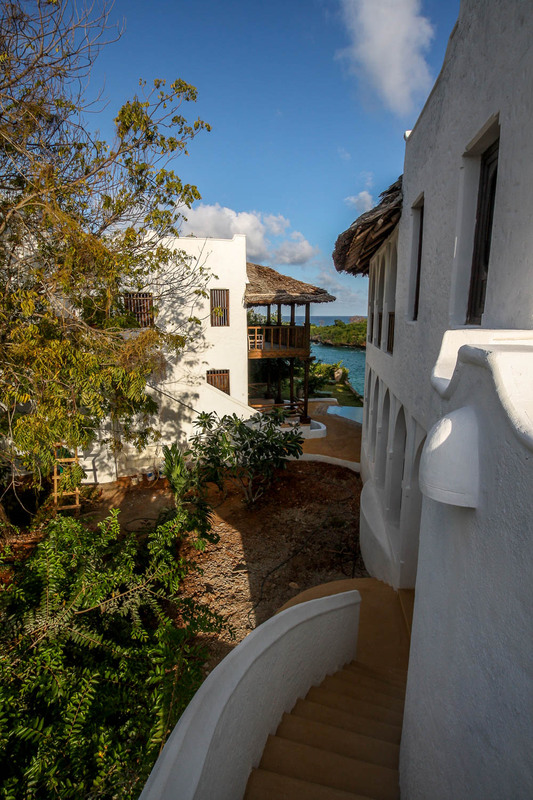 All rooms are ensuite and have their own verandahs, and there are several terraces which favour views inland at sunset. The large dining room looks through the gardens to the creek but many prefer al fresco dining under the trees in the courtyard. 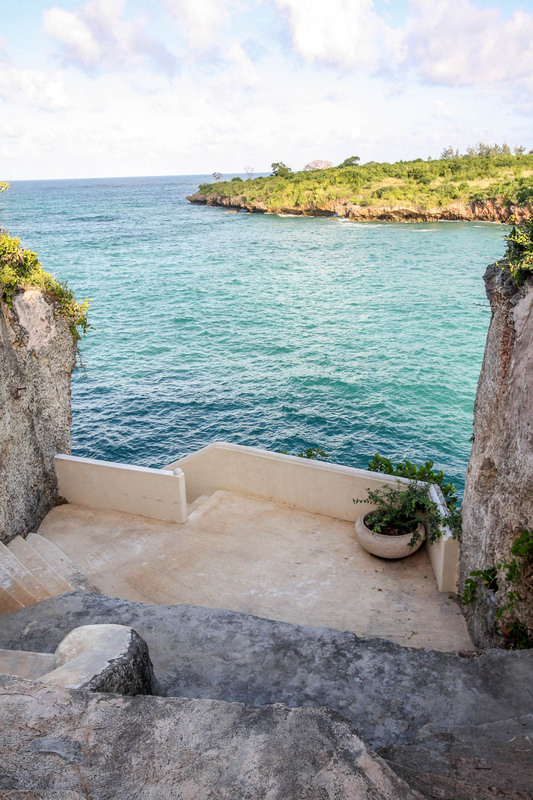 The access to the creek, with built in seating, has a staircase down to the beach but this is only accessible at low tide. View Kusi on a map.